You’re hands clasp the salty railing as you peer out towards the horizon only to see darkness. The moon casts an eerie glow upon the sea as the sounds of waves lap against the hull as the ship cuts through the black of night. Suddenly, a creepy sea captain beckons you to listen to the ghostly maritime tales of the restless spirits that haunt the seas. Goosebumps plague your whole body and just when you think you can’t take anymore, Mickey jumps out dressed like a vampire and the real party begins. No, you are not lost at sea, you are celebrating at sea! Here you get to embark on a spooky adventure filled with costume parties and festive activities. This is no ordinary Halloween. Oh no. 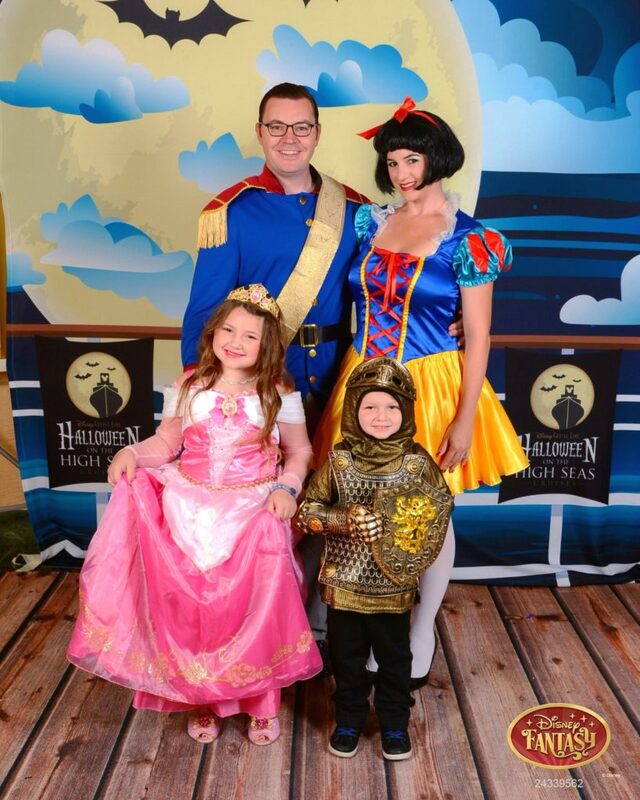 This, my friends, is a Disney Halloween Cruise, also known as Halloween on the High Seas. 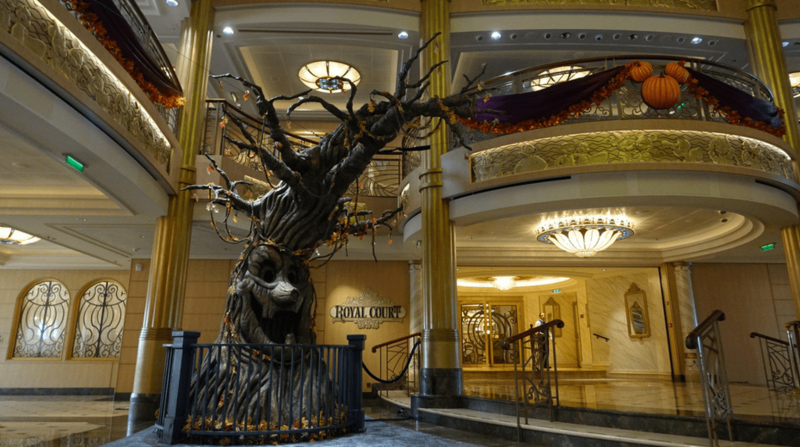 So climb aboard as we explain everything you need to know about experiencing Halloween on a Disney cruise and find out how Disney does Halloween on the High Seas! 1 Yo Ho and Away We Go! Yo Ho and Away We Go! First, you probably want to know when Disney Cruise Line starts their Halloween festivities. I mean, you can’t celebrate if you are not on board, right? Luckily, Disney Cruise Line does Halloween on the High Seas on all four ships: The Disney Magic, Disney Wonder, Disney Dream, and Disney Fantasy. Sail dates usually start in early September and run until the end of October. Dates vary depending on ship, sailing destination and duration. 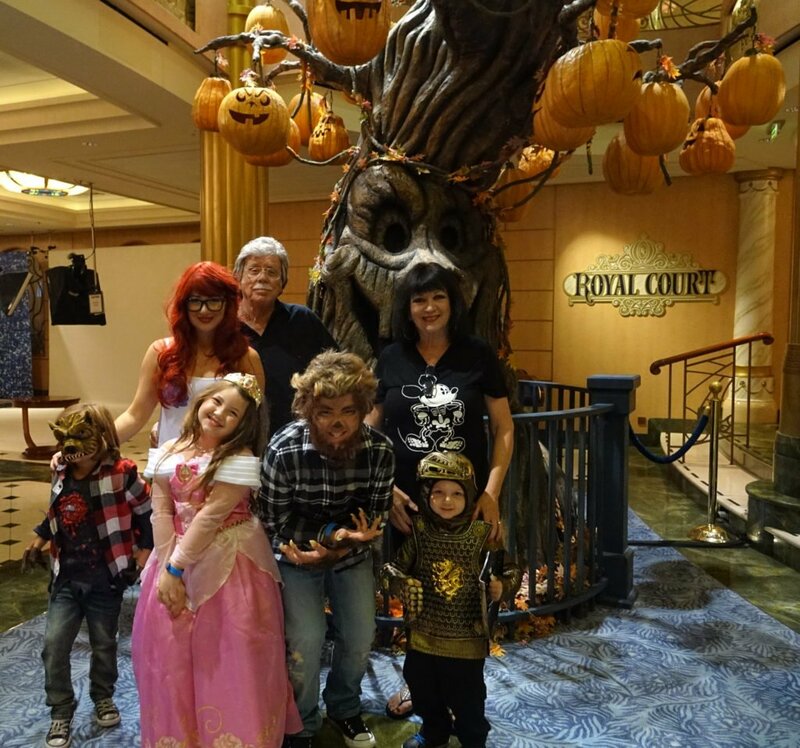 There is so much to do on a Disney Cruise anyway that it is hard to do everything, but throw in all the exciting activities on a Halloween Disney Cruise and you won’t need a costume to feel like a Zombie. Of course you want to do it all, burning the candle both ends! The Halloween Tree, standing tall in main atrium with its bare, winding branches creeping out as if they could reach out and grab you. Keep your eyes peeled, because throughout your sailing the tree transforms as more and more (and more) glowing jack-o-lanterns are hung from its branches, which will eventually cover the entire tree by the end of your voyage. Throughout the spooky vessel, touches of a Disney Halloween can be found everywhere. 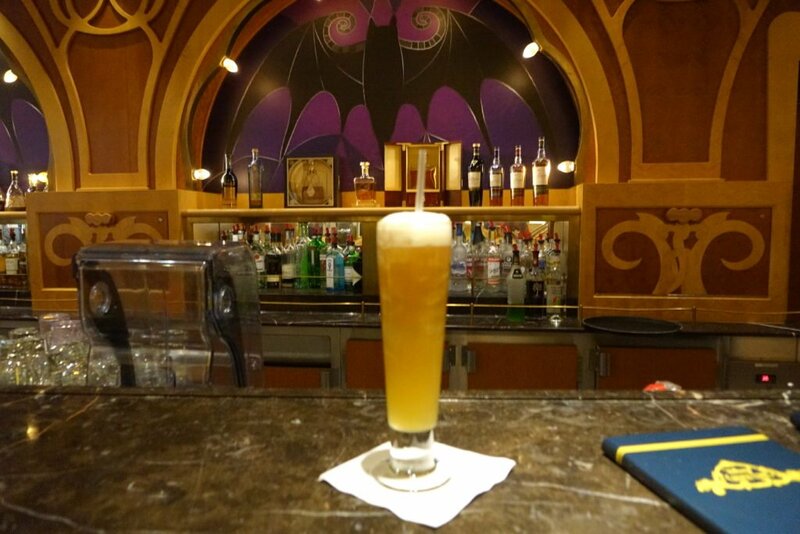 From the bat behind the bar to the smiling jack-o-lanterns and spider webs that cover the portholes. Don’t ask me what my kids are doing. 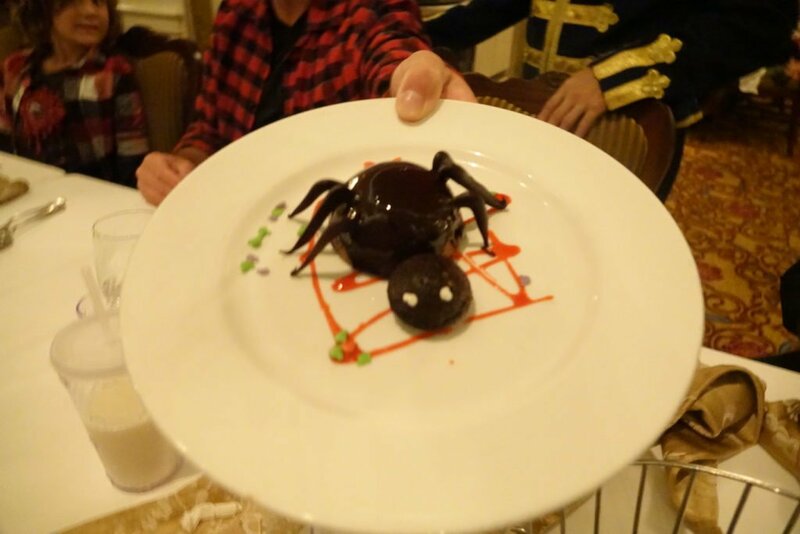 There are even spooky treats, like spider cake! YUM! The kids notice all of these little decorative touches and it really helps to boost their Halloween spirit. It is time to get dressed-up, get in the spirit and get your monster mash on. Honestly, after a long day at port it was hard to motivate ourselves to put on costumes, but I’m glad we did it, because it was so much fun. It started in the main atrium where music was pumping and the cruise entertainment crew was dancing and helping to keep up the energy. 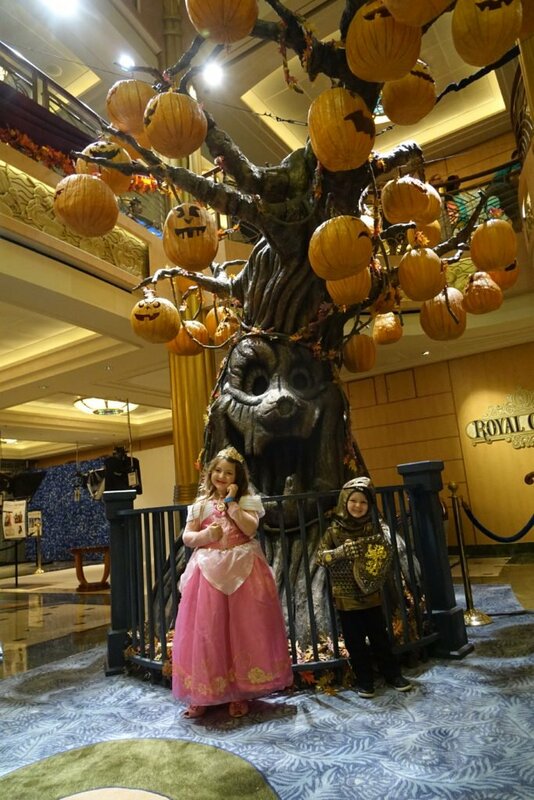 The kids had fun int he atrium trick-or-treating, playing games, interacting with the crew, and taking really cute photo ops with mama and daddy! Papa & Grams with their ghoul children. There was an interactive daddy/daughter costume dash, where families competed and dads had to find pieces to complete various costume looks on their daughters. Our family was chosen to participate and actually won the first round by a hair. All of this fun was followed by a big dance party where all the Disney Halloween characters came out in costume to pull some groovy moves and put on a lively show. Then we had the chance to just dance the night away with the kids and enjoy the costumes and the generally festive Halloween spirit. After dinner, we put the kids in the kids’ club and headed over to the adults-only Halloween party and costume contest. Teens also get their own late night Halloween Party in the teen club! Who says the kids get to have all the fun? 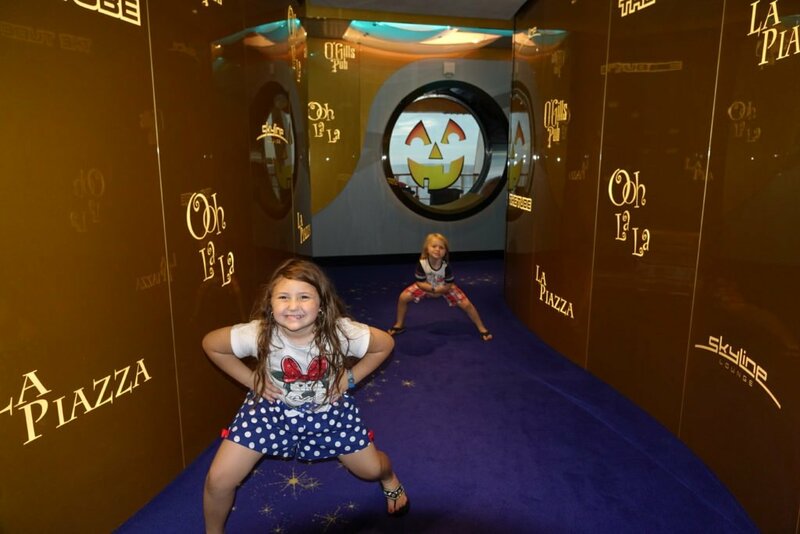 The Halloween fun will continue throughout your time on the ship with various activities going on all over the ship. Keep an eye on your daily itinerary, delivered to your cabin nightly. All the happenings, from Halloween crafts to games and shows will be on the schedule. Tim Burton’s The Nightmare Before Christmas, is shown during the sailing of Halloween on the High Seas, but in a special way. You don’t have to just watch the movie, you get to participate in this interactive movie experience and then afterwards you get to meet Jack and Sally! Unfortunately for us, the various times this activity took place we could not attend! I’m so bummed that we missed Jack and Sally on the ship (but it does give us a convenient excuse to book our next Halloween cruise with Disney! Haha). At least we’ve caught them at Disneyland in Anaheim during Halloween, which you can read more about HERE. This is where my intro will start to make more sense. Late at night on the lido deck, you will gather around the virtual campfire displayed on the funnel vision (the huge outdoor movie screen, located near the Mickey pool) to hear scary stories told by an old sea captain. I love all things scary, but I was prepared for the stories to be rather mild, being that this was a Disney Halloween. However, I was pleasantly surprised see that the stories were quite spooky. Gazing out at a dark sea, made things even spookier. I felt it was a very balanced activity, scary enough that even my tween nephew enjoyed it, but fun enough that it wasn’t too scary for my little kids either – but then again they have me for a mama (aka lover off all things Halloween) and we’re not afraid to take the kids to haunted historical places across the country. Let’s just say my kids have seen worse. 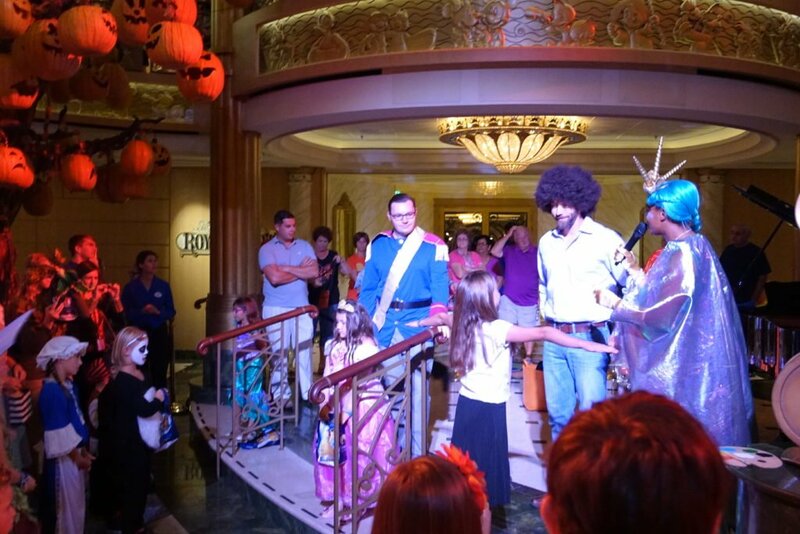 Depending on cruise’s sailing location, prices can be very reasonable (for Disney) during the Halloween on High Seas celebration. Just coming off the summer rush, this time of year tends to be a bit slower and weather can be a bit less predictable. For instance, we sailed during Hurricane Matthew, but Disney Cruise Line handled it amazing and we weren’t affected at all! Actually we had amazing weather. That being said, prices do fluctuate and there are better times to buy than others. There are two peak times when booking a Disney Cruise; at the release of the new schedules and approximately one year before the sailing date. That’s just when people tend to book more, so prices go up. So try to book just short of a year or even better, last minute as your schedule affords for some really great deals.I like to check with Last Minute Travel. Cruise Direct, also offers great last minute deals with some that include Disney on board credit. As a frequent traveler, I’m always advising others to pack light. However, if you are going on a themed Disney Cruise, you can take that advice and throw it out to sea. 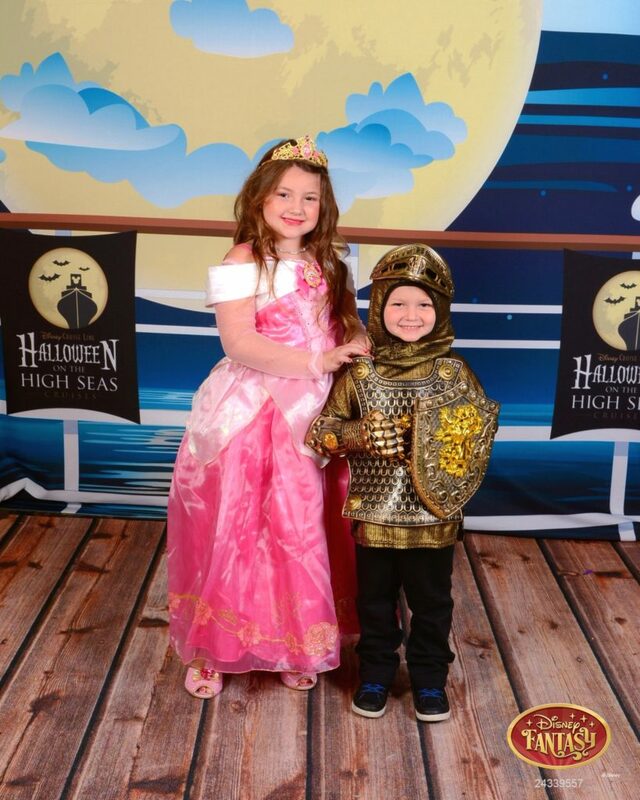 There are so many events and parties during Disney Cruise Halloween on the High Seas that you require frequent wardrobe changes. One night of the cruise is dedicated to Halloween and there is rocking Disney Halloween party as well as several photo ops all over the ship. 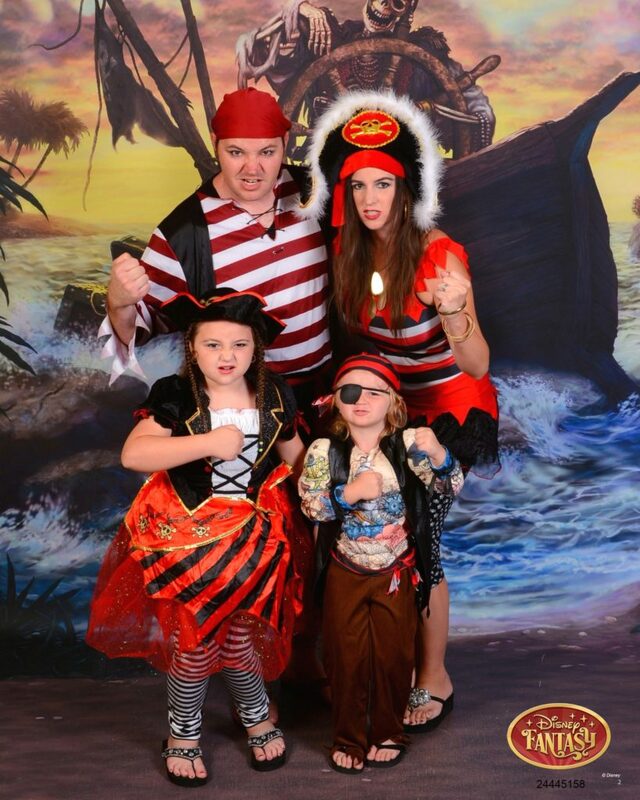 Every Disney Cruise, no matter the theme, has a pirate party night. Now, you don’t have to pack your own costumes, as the ship does provide Mickey pirate bandanas, but people go all out on these cruises and you’ll want to step it up. For more on the Disney Pirate Party see our post. 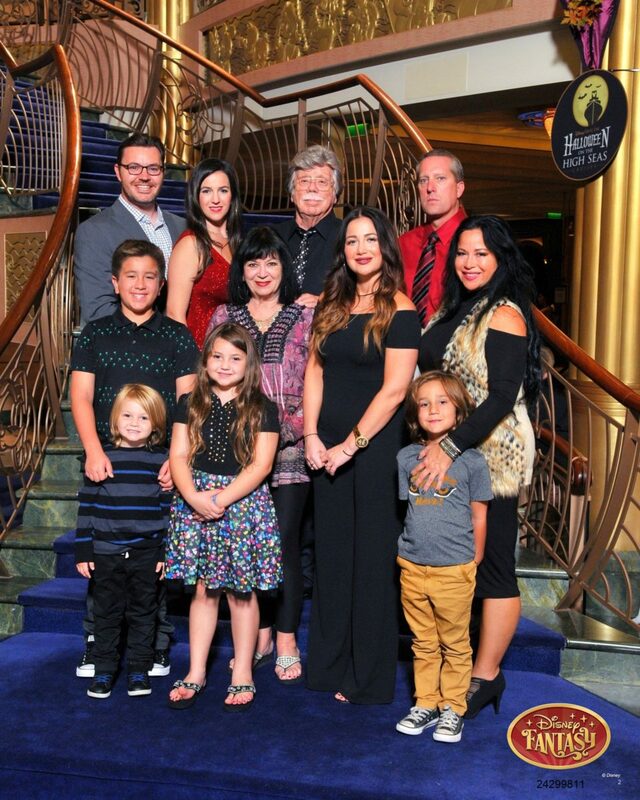 Even on themed cruises there will be a traditional Formal and Semi-Formal night. There is something classic about seeing everyone dressed up for the evening. Disney Cruisers love decorating their doors with magnets. Since most doors are decorated for Halloween, you’ll want your door to look spooktacular to0! Fun right? 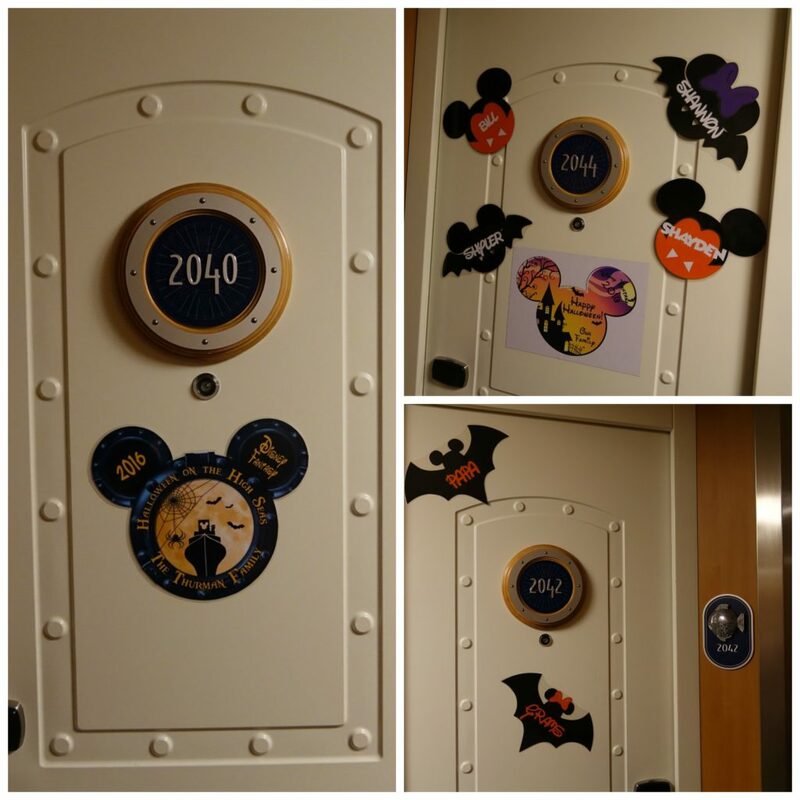 Get your Disney Cruise Halloween Door Magnets for some creepy flair. It may be a Halloween cruise, but you are still cruising and exploring ports, so you will need all your regular cruising attire on top of your themed-wear. For more information on our Disney ports of call, see our posts on Jamaica, Grand Cayman, Cozumel and Epcot. 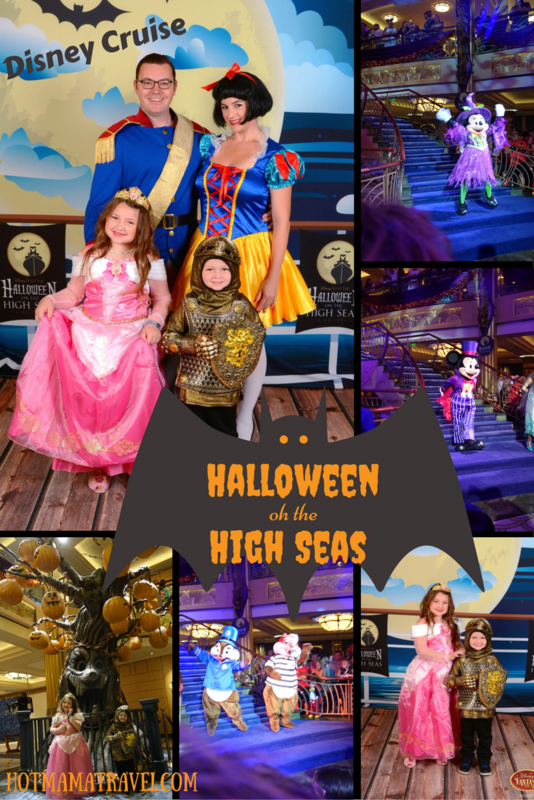 If you love Halloween, love Disney, and have kids (or not), I am pretty confident you will love Disney Halloween on the High Seas. Like everything Disney does, every detail is well thought out and for the time you are away sailing you are transported into a Halloween fantasy world. As someone who likes to stretch the scares all month long, this will definitely be a new tradition in my family. Hope you enjoyed this Halloween on the High Seas review. Happy Halloween! If you would like to book a Disney cruise, you can book directly through their site or you can also check for deals on Cruise Direct. Have you ever been on a themed cruise? Did you like it? Looks like a fun idea for a family! I’ve never celebrated Halloween on a cruise, but I did go to Disney this past weekend. Isn’t the Disney Cruise fun? You’ll have to try the Halloween one some time! Seriously. It was nonstop Halloween fun! Were all the costumes Disney related? Not everyone’s, we just wanted to do. My sister went as red riding hood and her husband and boys went as werewolves. Was there any plays or broadway type shows on the Halloween cruise? I also am wondering if there are any good movies in the theaters to watch that are not Halloween themed? Booked a seven night Halloween cruise and starting to regret it since it sounds like there is no good plays or new movies in the theaters. ☹ I am relieved to learn that there still is a formal night. I hope we can get pictures again. Yes there were tons of Halloween events, parties and shows going on. Although, the main shows in the big theater were their standard musicals. They show all kinds of movies in the movie theater. Some are Halloween and some are not, so you can choose. Read my post about the Disney Fantasy and you’ll see the regular Disney Cruise events and shows still continue. You just get some added Halloween events. I still have never been on a Disney Cruise ( I need to change that soon) I have heard that cruises are still good to book during hurricane season because the ships can re-route. And you can get good deals! This looks like so much fun, so much attention to detail! Our family loves going to Disneyland, this reminds me that we should plan a Halloween trip. Right? I love planning Halloween travel. Oh my – yes, the attention to detail is amazing! 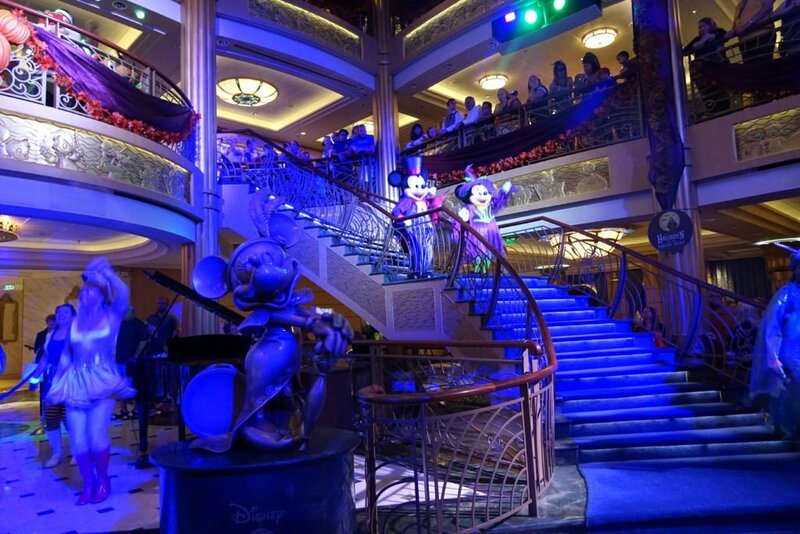 I am sure it’s the same on every Disney cruise…the themes sound interesting. I think I would be a little scared on this one! It was so amazing and Disney just makes it feel magical. Your family is so adorbs! WhooHoo! Hope you get to take your cruise soon! Oh my goodness, how adorable is this?! I love the costumes – especially the pirate themed night. I bet your kids had a blast (and you guys too!). Dressing up is always so much fun and to get to do two of them was a real treat. Honestly it is fun for everyone of all ages. Thank you so much for your post! We have booked a Halloween on the high seas cruise, but are not sure if it is best for us. We have 3 kids. The 13 year old could care less what the cruise ship looks like. But the 2 younger girls, 4 and 8, don’t like scary things at all. Anything remotely scary really gets them worked up. Basically, we are a non-Halloween family. I guess my question is, do they replace the regular activities with Halloween themed activities? Like the shows and such. Just not sure if we should change our cruise to a different one. Thank you for replying! So, my wife had a more detailed question. Is there still lots of Non-halloween related activities? Like the regular shows and movies that they do on a typical Disney cruise? 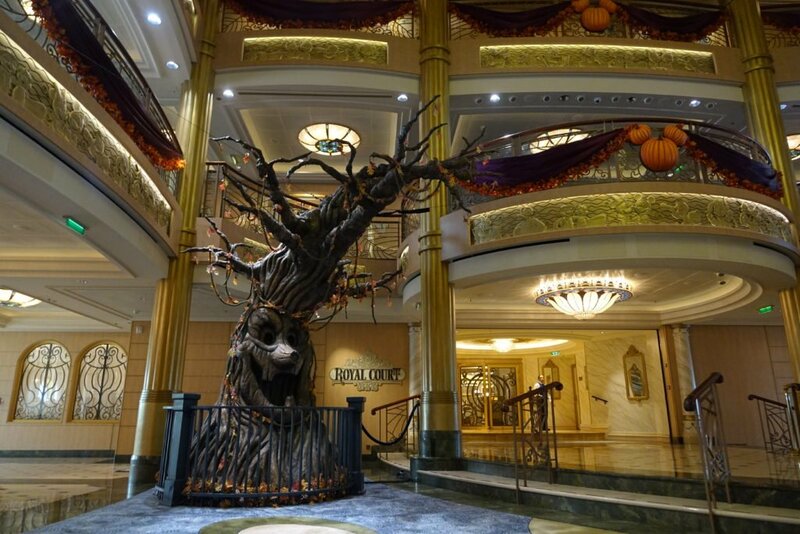 Absolutely, everything you would expect from a regular Disney Cruise, just with some added Halloween fun. Thank you for being so helpful! I have your blog bookmarked and signed up for your emails. With 3 kids, the insights you give are invaluable! Love the costumes. Looks like the cruise is super fun! OMG this looks like the most amazing cruise in the world, perfect for Disney lovers anywhere! Yes, it is such a cruise for everyone! We love it so much. Now we’re hooked on Disney Cruise Line. Wow! Absoiuliuotely amazing! My kids are fascinated with Halloween, though we never celebrated it as such. Your post has inspired me to try some ideas this year. It is a great trip for the whole family and makes Halloween such an exciting time. I’ve only been on one cruise, and it wasn’t a Disney cruise, but I can only imagine how well Disney does Halloween onboard! Looks like you had so much fun with costume parties, father/daughter events, singing, story-telling, and so much more. Love the cute Halloween magnets you put on your cabin door, too! Disney does everything top notch and Halloween on-board is no exception. It really is a great experience.